Your 2018 Roofing Cost Guide. 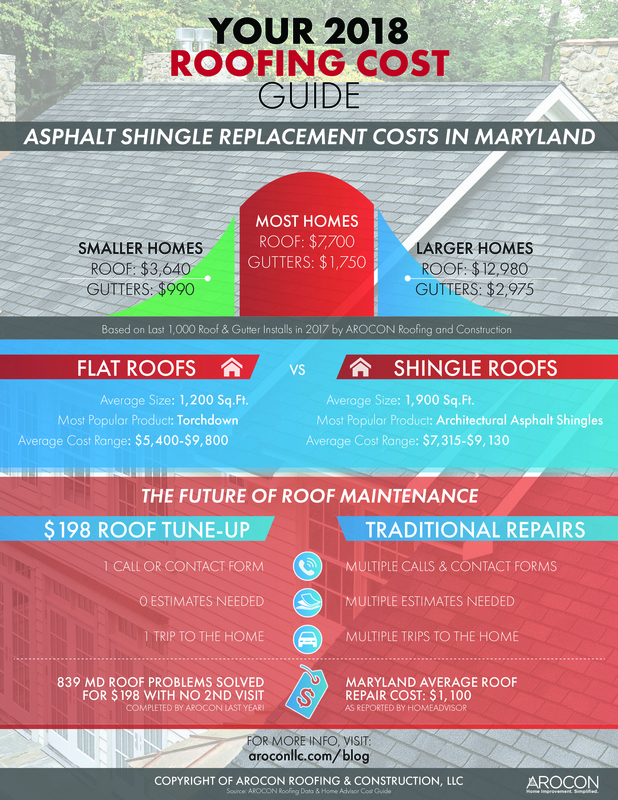 For anyone considering a roofing project, it is often difficult to determine what a roof replacement should cost. With so many different products and every house being unique in size and style, where do you start? Well AROCON Roofing & Construction is here to help! Click the button to your right to download your copy of our 2018 Roofing Cost Guide today! If you have any questions at all, feel free to call one of our friendly staff members at (410) 861-6767. Ready for a Better Home Improvement Experience?